Safety being the highest priority is the major concern in today’s scenario. With the idea of safety, Letstrack lets you earn as well as save money. There are several value-added features that allow you to save & earn money. 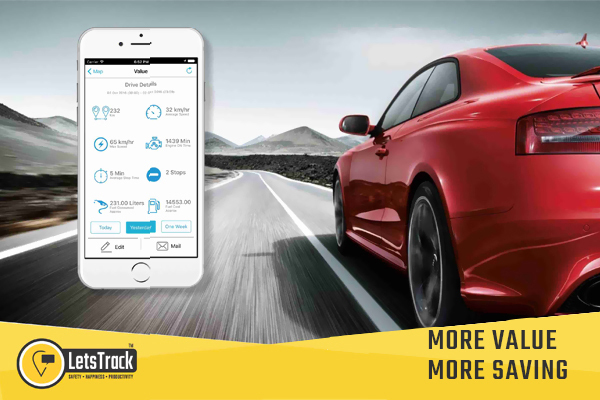 People who own a travel company, cab or bus or any other service can be at a huge advantage by the use of this feature of Letstrack tracking devices & app. In the first place, Letstrack allows a feature that lets you save money is through the app. The app calculates all the average of the vehicle in which the device is connected. All of these features are displayed on a single screen for you to see the average.You can easily manage your sales and increase your savings by the use of this value added feature. It could prove as a valuable asset for your company in the management of your sales. Another feature that allows earning money is with the “Let’s Earn” feature. You can earn up to Rupees 200/- by referring the Letstrack GPS tracking devices and app to your friends, family and employees. All in all the only need is to download the app to your smartphone from the play store or apple store if you have an iPhone (data charges may apply). By this, you can earn and save money too. Safety with ease in the business is always assured at Letstrack!